Our ingredients are always fresh and contain zero msg. Through our food we strive to share with you the experience of Vietnam in a delicious bowl of soup. UnPhogettable is a family owned business that have lasted throughout time and we are happy to share with you our traditions rooted deep in our history. 1978 — A very significant year, for our large family which began our journeys escaping from Vietnam. To safeguard our successes, we were divided and escaped in 4 separate groups. More than two decades later, we reunited in Pennsylvania, USA. 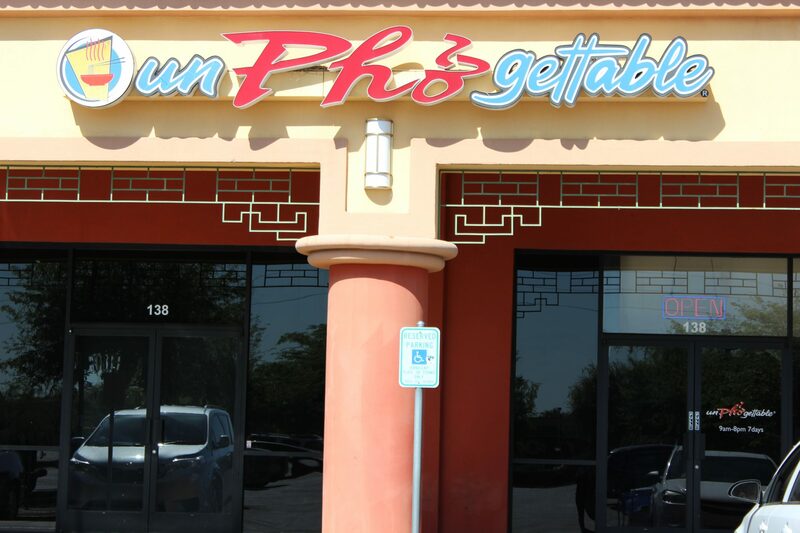 2002 — Pho78 opens in Virginia Beach, Virginia. In addition to the aforementioned significant of the year “78”, our Mom was “78” years old, our family had “78” immediate members at that time. Both brothers #7 & 8 are managing members of the business. 2007 — As a marketing campaign, “UNPHOGETTABLE” was often used as our slogan and is finally trademarked. 2008 — unPhogettable opens in Mesa, Arizona. 2017 — unPhogettable expands to Chandler, Arizona. We have two locations in Arizona! Our hours are 9:00am – 8:00pm, 7 days a week.